1. Tolix Chair 2. Globus Chair 3. Salt Chair 4. Thonet Vienna Chair 5. Wishbone Chair 6. Thonet Era Chair 7. Navy Chair 8. Saarinen Tulip Chair 9. Eames Molded Chair. Contest ends Thursday, 8/21 at noon ET. Good luck! UPDATE: The winner (Rosie: #384) has been notified. Thanks for playing everyone! RIP my beautiful red chairs that are no longer available on the interweb (as far as I can tell). Related: Click here for a massive modern chair resource. Love your red chairs! I’m going to be boring here but I like #3 and #7. Without a doubt, #5, the Wishbone chair would look great at your table! salt chair for the win! I’m with Tarah – but I call it ‘classic’ instead of boring 🙂 #3 and #7 are the best!! Just bought chairs similar to 3 but my kids wish I had bought 8. #5 Wishbone! They look the most comfy and a little untraditional. I think 2,5, and 9 are the closest in flavor to the chairs you have, and would all be fantastic at that table. I love all three of them nearly equally, but if pressed I would say 5 is my favorite of those three. At least in this moment. I like #3 or #5, but no joke… I actually thought #8 was a wineglass before I clicked through from my feedly account. I like #7, the Navy Chair! I like 2, 5, and 8! Chair #3 – classic but the straight lines and red color modernize this chair! They look the most comfortable. I want to be more modern, but I can’t get over how classic #3 is. Love. I recently came extremely close recently to replacing our kitchen chairs with #4 in red but for your table I think I would also opt for #5. I like #2…looks both modern and comfortable. #6, or two #8 and two #9. Have a great day! Definitely the Salt chair! They’re timeless yet comfortable. Wishbone is a close second. I like number 6! How comfortable are the chairs? That’s also important. The wishbone looks most like your old ones–like it! Also a sucker for either thonnet… Go with comfort! #5! Adds a little texture with the seat material which warms it up AND similar shape to the ones you are replacing. Love that chair! We’ve been having the same conversation about replacing our beloved but battle-scarred kitchen chairs and are leaning toward #2. Numbers 3 and 5 are my favorite! I love that you’re sticking to red still and would love a copy of your new book! Such a hard decision! I would go with #3 or #5-the backs look the most comfortable. If you want a beautiful chair that will last forever, go with #7, the Navy chair. In my opinion, sitting on a really sturdy chair is comfort in itself. And, the styling of #7 is so clean, so pleasing to the eye. #9 is what I’d pick. And I’d warn you away from #1 and #7 because metal chairs are often cold (particularly in winter, though even in summer they make wearing shorts or thin skirts less pleasant). I love the look of both of them, but have sat in them in restaurants and am usually uncomfortable because of the material. #5 the wishbone chair. Looks the most comfortable to me. 5. Love Love Love. BUT – I have 2 smaller children (7 and 3) who, despite my offers of MONEY for their not dropping and spilling food, they are incapable of not staining and making a mess. Is the woven seat able to withstand this level of abuse? It is available in counter height (for me) and in green (for me). Love it. 8. Love. A classic. But see #5 for fabric seat/stains. 9. Love so much we have these in light aqua and sparrow. Not available in counter height (that I have found yet). ooooh…number 3 for the win! #1 or #3 are my faves!! Salt chair – it looks sturdy but not heavy/bulky. I say #5, the Wishbone. It has nice lines and is wide and comfortable looking. Plus the cane seat will coordinate nicely with your floor. The wishbone chair! (#5) I love the shape of your current chairs and this is the most similar. #7! The comfort and quality are priceless. I like #4, but they are all good options! I was madly in love with #1 myself, but a friend got them, we sat in them and they were appallingly uncomfortable. Back to the store they went and it was so sad. #3 all the way. You don’t want it to be so modern that 5 years from now it dates you! Besides those look like the best “seat” for sitting and chatting too! I love my tolix stools! Very comfortable and durable. Thonet not so comfortable for longer periods of time. I also like number 5 though. #9 all the way! They look like they can be wiped clean easily, but still are stylish and go with yor pendant lamp and table. 3 is my favorite, a classic but fun! Leaning more towards 3 but 5 looks comfy! #3 – you will enjoy for years! Number 5!!!!! But if you are worried about seat stains then number 4! I really like #5 but if you don’t want a woven seat, #3 is classic too. I only caution AGAINST #1 and #7. I have a vintage knock off of the Navy chair and the aluminum is COLD all year round. In the winter in order to have guests not freeze their butts during dinner (even in my well heated house) I’d have to put sheepskins on them. Not really practical for family meals. I replaced with wood chairs. I like #4 the best: classic shape in an edgy color. I also like #1, but the color is less vibrant. Like the general masses…#3 or #5. Enjoy the new chairs! It’s like a mini kitchen makeover. Easy – 5! It meets all the criteria in a dining chair: Style, shape, texture, comfort. Done! I vote for #5. I personally like the more traditional #3 better, but I don’t think it would jive with your table and pendant light. #3 = most comfortable. the metal ones look great, but i worry they wouldn’t be very nice to sit in? 4! But maybe 3 or 6! In the interest of brevity, go with #7 if you want something nearly bulletproof. If you want something that looks great, mix 2 #6 Era chairs with 2 of the Era armchairs. I love #4! But please choose one of the options with red legs at least. It’s no fun to have red chairs but have to look at metal or white plastic legs. Good luck! I am leaning towards 3, but also really like 2. First choice 3, second choice 6. although it’s a tie! My vote is for #5. Interestingly, the photo is placed in the middle of all of the chairs, much like Alice in the Brady Bunch squares. These chairs will be like Alice – hardworking, cheerful members of your family. My pick is 5 – Wishbone chair. Fun and comfy. Best of luck with the decision making process! I love #5 and it makes me think of chicken PLUS the wishbone brings good luck! I would mix and do 2 of #3 and 2 of #5! My first pick was #7 then I read a comment that they are cold all year round. I say #5 and #3 are tied then #4. #2 or 5 – the others would be great as patio chairs but might not be comfy for daily use. I love the color! I personally like #3 as I like classic lines but looking at your picture it seems 4 or 6 have a similar outline as what you have today. #3 looks like it has the comfiest back to me. #9 is my favorite, but I think #5 (which is a close second) would look best with your table. #3 or #5, whichever is more comfortable. I love #1 but it looks hard on the rear. No. 5 or No. 9! These look the most comfortable and stylish! I think 5 is a lot like what you already have and I really like it. But I think you should take the opportunity to have something new and therefore my vote is for 9. Looks comfy, stain resistant (your children are older than mine, so no offense intended! ), and modern in the best way. No. 5 … because it will make a good replacement for your current chairs. I like it a lot. #3 Salt chair. They make me wish we didn’t already have perfectly good chairs so I could replace ours. I like the look of #7. Too bad the old ones are out, but it’s pretty fun to freshen up with some new ones! I’ll say (3), salt chair. It’s more timeless than the others. I think it should be 5 ! I think they would fit in your space and look great. I like #5 but I think that it would maybe not last as long as the others?It also might take up a bit too much space, so an extra chair couldn’t be added for extra guests. #3 is classic –probably what I would chose, but I would secretly want to chose #9. For me, it’s between 3 and 5. My vote is 5.
it HAS to be Thonet — either 4 or 6. #5 looks like a fun chair to me! 3 and 7 but only if they are comfy. I vote for #3, because it looks the most comfortable! There’s nothing worse than trying to enjoy a delicious meal in an uncomfortable chair. I really like the organic curves of #4! #8 kinda looks like a wine glass if you squint at the photo and the white and red combo would look good in your house. But only if it is comfy & the seat is easily washed. my vote is for #5 also…and i strongly caution against #7. we have them in the stool version and while i do love the look of them…they are cold (as someone mentioned above) but worst of all is they are so lightweight that when kicked…and it’s actually surprisingly often that a chair/stool is kicked it makes a giant clangy sound. it drives us nuts! You should mix #4 and #6! I vote for number 5! #3 or #9 – but they are all great! I say you need to get at least 6 and a bigger table too while your at it – those girls are growing up – too fast if they’re anything like mine 🙂 But it’s always fun to spend other people’s money!! 3 or 7. You won’t get tired of looking at them year after year and will congratulate yourself on your excellent taste again and again. #3 because it looks like the most comfortable! #5 red wishbone by a landslide. I vote for 7, 1, or 2. Nice picks! Hi, I like 5 or 7. I like the wishbone style but it may be too wide for your space. Can’t wait to see your choice. No.7 the Navy Chair. Simple. Classic. Sturdy. #1 and #9 – classic and comfortable! I love metally #1, but #5 it is for both good looks and comfort at the dining table. The eames chair looks the most comfortable, but the Vienna chair could be pretty good too! I like #7 the best. They look simple, modern, and the most comfortable of the bunch. #3 the salt chair for sure!!! #5 is my favorite ! #7 Navy Chair – they are super comfortable! #9. You can’t go wrong with a classic. And it is really comfy. #9 — you can’t beat Eames! Gotta go with classic chic! #3 for the win! 3, 7, 4, 5… in that order. You have great taste! Classics are classics for a reason. #3! We have ten of the Globus chair — #2. We bought them when we moved into our last house, and bought more than we needed becuase we wanted to squeeze in a lot of people. They have been used as dining chairs (obvs), step stools, desk chairs, outdoor chairs, lounge chairs in our underfurnished family room, and stacked in a corner when not in use. They have been spilled on, painted on, sticker-ed on, left outside in the rain, jumped from and over, and rocked back on. In short, they have been abused and still look and feel great (except for the legacy of one early mystery guest who had diamond-sharp jeans rivets). They’re plenty comfortable, lightweight, and stack easily when you don’t need some. Best of all, they are slim enough to squeeze in a ton of people for the most-fun kind of dinner party. I’d buy them again if they shoud ever wear out! 2 or 9. But I appear to be very much in the minority. Guess it depends what you think of as modern (2 qualifies, to my eye, but lots of the others look either retro or traditional). 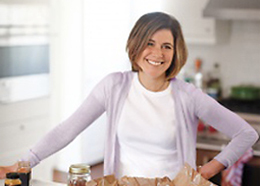 I own the #2 Globus chairs – they are my dining room chairs and they are seriously great. Seriously great. I have them in multiple colors. I stack them. They are very comfortable for dining, and they also hold up very well as work chairs – as in, sidle up to the table, plug in your laptop, and go. I would buy them again in a heartbeat. We wait for them to go on sale at Design Within Reach and buy one or two more as we go. Did I mention that they stack? I like 3 or 4! Chair 5 – they look like they would be the most comfortable! Enjoy your new purchase, whichever you choose! I’m partial to the wishbone (#5) because we have a set of them in our dining room, in black, and we love them. They’re VERY comfortable. One drawback is that any greasy food dropped on the cane seats will leave a faint stain. I like #3 – the Salt Chair best. I’m going with #3 and #7 — I like them both! #3. Salt Chair – I love those. May the best chair win. #5 or #7- though they all look great! #3 or #9. Eames chairs are comfy. I have salt chairs myself. I think 3 or 5. 1 looks like it would feel cold in the winter, and 2 looks a bit hard. 4 and 6 are just a bit boring, and I don’t like the “playgroup-y” feel of 7. 8 to me is too modern for a kitchen (and doesn’t look like it would fit with the rest of the room, from what you can see in the picture!) and 9 just screams “office” to me, which frankly is the last thing I want to be thinking of when I get home and sit down for dinner! 3 reminds me of the chairs we had at home growing up – sensible, comfortable wooden chairs, but the red makes them fun and modern. And 5 is my second favourite – it looks comfortable and stylish, but I do just love 3 – it looks like home! I like #3 but #7 is a close second. I think #6 looks elegant & comfortable! I like #3 the best! Definitely #5. It looks like it’s really comfortable and will fit in with your decor. I like them all though! 3 or 7, both classics! All lovely, but my vote is for #3.
how is nobody voting for #4?!?!? I like 6 and 9. 6 for pretty and 9 for comfort. My pick for me is #3. My pick for you and your family is #3. Such a fun game! The higher back would be more comfy (and multiple slats usually make it more comfy than a style like #4). PLUS it has a “food” name– ‘gotta love that! I’m torn between #1 or #7. Good luck choosing! I love the Thonet Vienna Chair! I love #5! I have always liked these chairs, but with two little boys they are not an option right now. I actually have a blue version of #1. Not super comfy, but I can scrub them! #5 looks the most comfortable! My vote is #5-a nice mix of old and new. Good luck! I have to say i love #5 and even consider for myself but the idea of trying to clean the seat after my kids finished eating was a nightmare. i have been told that it is not the easiest to clean. Love that you are keeping the red! #2 or #7 for style, versatility and comfort. I’m choosing #3, the Salt Chair, for most comfortable to sit in as you hang out during a great meal. Back support, difficult to tip over (can you tell I have 3 kids? ), sturdy, and won’t look dated in 5 years. I’m totally into the salt chair for the way it bridges modern decor into a more traditional house. I want them in black for my own place! #1! ….we have the same knock-offs in silver (Crate &’Barrel) & love them! I say 7! It looks comfy and it will also draw the eye in, and around, your table. 1! We have them at my house and love them! #2 — I think these would look best with your table, and a previous commenter confirmed that they are comfortable. #2 — the globus chair! It looks so cool! 3 & 5 are my favorites! I have a set of #1 tolix knockoffs in red from Overstock. They are gorgeous, but I wouldn’t buy them again as they get too cold to sit on at times. Once I get a new dining set they will go outside on the patio. #3 is my fave! Love the red!! Oo, this was tough. I settled on #5, wishbone, though I initially was going to go for the Navy chair (what I’d choose for my own black walnut table if I was in the market). 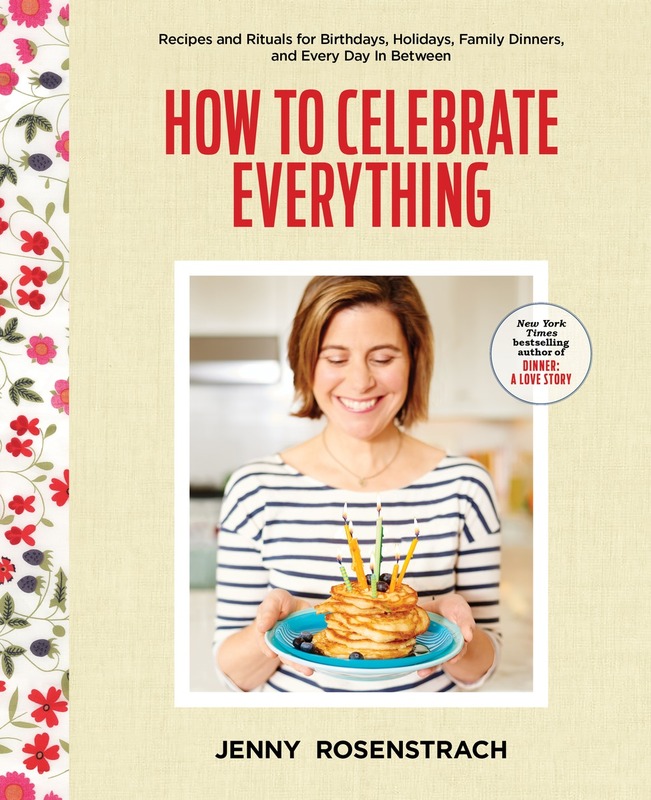 PS: Already own DALS book, so if I win, I’ll give mine away to a lucky friend! #3 is simple and comfortable-looking. I hate when there’s nothing to support my back and I feel like I’m going to slip backward through the chair. I like 5 and 7, assuming they are equally comfortable! For your space, I love #1, but I’m also feeling #6! I vote 5, or 9 since it is more practical for clean up. I like #2 and #7. Make sure they are comfortable and that the legs are not too wide. The pushing in and pulling out factor needs to be tested 🙂 Good luck, so many good choices and love the red!!! Oh, I vote for #3 – looks timeless. I love 3 for its timeless look but I can kind of see 5 as well. they look comfortable! I love #3, the salt chair! We’re going to be remodeling our kitchen soon, and I’m thinking a bold colored chair may need to happen! 2 looks like the perfect blend between modern design and comfy construction, and would go well with your table. Whatever you get, I hope it brings you years of enjoyment! I love #3, the salt chair! I vote #3, followed by #5. I like #7 the best, and we have it in an aluminum finish; my taste is so traditional, though, that I offer #2 as an alternate choice to stretch myself! 3! They remind me of the chairs we had growing up. #9! I have them at my breakfast table (in grey) and they have been great–durable and comfortable too. I buy kitchen chairs based on comfort so I’d go with 3 or 7. Altho 2 is prolly comfortable, I don’t like the style. I like #5, the Wishbone Chair! 5 looks the most comfortable. I love no. 4 !! We have the Eames in black. Love! I vote for the Eames. I like #7. (The Wishbone chair is the one we have at work, and it really isn’t comfortable to sit in at great length. Same with the molded plastic Eames-y one). #3 salt! Simple and classically modern. Well, I’ve mulled this over for a little too long. #7. It has a more supportive back than a few others. Not quite as cushy as a rounded back BUT it’s classic yet a little different and not overdone. 2 is my choice…given the table. If a different table, maybe 1 or 5. I think #5 are fabulous! I LOVE 8 and I think 9 is the perfect mix of simple and modern. I think 9 is the perfect mix of simple and modern. #5! Or if not that, then #3. Some of the others look flimsy, like there might not be quite enough room for your bum. like so many others – #3. I’m not sure if that’s the Serena and Lily $$$ one but Target just started making a version and they’re 2 for $119. (I couldn’t get your link to work). I love them and I’m trying to convince my sister-in-law to get them. #9 We have four white and one black with arms and one red with arms. Comfortable, easy to clean. We chose the Eiffel legs. The Eames red is really a great red. #7 Great chair. Stable. Comfortable. Sorry I have 2 comments! It wasn’t working at first so I mistakenly put in two comments! Not trying to be sneaky! Number three Salt Chair! Love that style!! Good Luck!! for comfort and durability I vote #9 or possibly #5. I love #8, but I find them difficult to move around, and kitchen table chairs need to be able to move around. 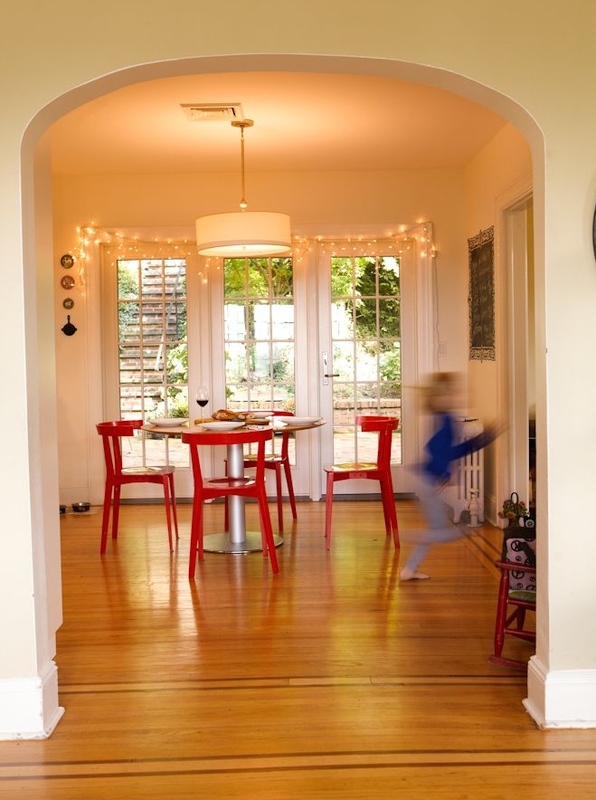 I love the look of the Thonet chairs, but I vote for #1 as the best for family wear and tear! #2 – perfect match with the table! I like #3 & #7! I actually own #9, and it is OK in the comfort zone, but (on the Ikea version!) the screws on the legs have a tendency to slowly unscrew themselves, making the seat a bit wobbly. #5. The seat looks comfortable! #5 hands down. Plus I think it’s good you can’t just replace your current chairs with the same – you should switch it up! I vote for #9 because it looks the most comfy! We have #1 in our dining room (not red though) and while they are super easy to clean and I love the look, they make your bottom cold. I like 5. And I hope your bottom remains warm always. #5, because they are my dream chair, but better b/c they come in red! Just want to warn against #9. The fasteners loosen easily and the legs ‘flex’ under weight which makes for unpleasant sitting. 5 for sure. Both cute and comfy! Oh just go with 6 different ones. can you tell I have commitment issues? I like #3, but I’m a bit of a traditionalist. But might be nice to mix up the more traditional with the contemporary. . . Chair #8 the Saarinen Tulip is my choice. Its pedestal style matches that of your table, and its white color matches your window trim and radiator. Last but not least it looks comfortable, which is important when eating or spending any length of time sitting. Have fun deciding –> it was tough enough when you had just the 9 choices of chairs. Now you have hundreds of opinions too! Number 5, wishbone. Looks comfier than some of the other options. 5! 5 5 5 5 5 5 5! 5! 5! Oh dear lord, pick 5! They’re actually more for outside use, but I think they’re so cool. Ooo, I say wishbone chair! Hurray for red chairs! I vote for 3…if only because I’ve been eyeing the Salt chair for awhile. I want them for my own dining table! I think they would look good with your set up, too. I have to go with #9 – the Eames! I like #1 the best, but it doesn’t look very comfortable. 2, 3, 4 and 6 seem to have VERY narrow legs and I wonder how they’d hold up over time. So, I am leaning toward #5 – wider, more comfy looking. Definitely number 5–those looks inviting and comfortable! There’s a lot of salt chair love here, but I lean toward 2 (Angela’s review was quite glowing ), 1, 8. Whatever you choose, I hope it’s comfortable! I like 4. 6 also has nice lines but I worry a little one would not have enough back support. I cannot deny my taste — #3. I think they would be great new chairs for your dining room. Classic, comfortable and red! #3 the Salt chair is my favorite! Such a classic shape! #7. You can find these made of recycled plastic and so easy to clean! I like #7! Different without being bizarre. 2 or 9. They’ve got to be comfy too. Love #8 but with young kiddos gotta forgo anything with fabric! So #5 it is! 3 or 4, whichever is more comfortable. Love that you’re keeping your kitchen chairs red. #4 for sure! It reminds me of French bistro chairs and is a bit more modern than #3 and not as boxy as #7.
i like 3 and 5! #5! Modern but classic form and comfortable (?) seat. 3 or 5! they look so comfy!! Wouldn’t it be fun to do a mix of different chairs but all red?! #2 and #3 are my favorite. Look comfortable too. My vote is for #5 as it looks comfy! I hate sitting on hard chairs. #2 looks the comfy-ist while #6 looks the sleek-ist. #2 is my vote. I want my friends to be comfortable. This is my fourth attempt at a comment (Bad Feedly) so I’ll just say #7 Navy Chair all the way. I like either 5 or 2! #9! Cool, but not too cool, and comfortable, which you need so that everyone wants to stay at the table. Put me in the #5 camp. I’ve just fell in love with your blog,, specially your lists! Congrats on an excellent job!!! Definitely number 6, understated, classic, bright red! You have to test run (aka, sit in them) before you choose. Meals are too important to suffer in uncomfortable chairs. 5 because it looks comfy. Although I also like 8 because I had to stare at it a while before I realized it wasn’t a glass of red wine! I like five. It seems stylish, practical and comfortable. 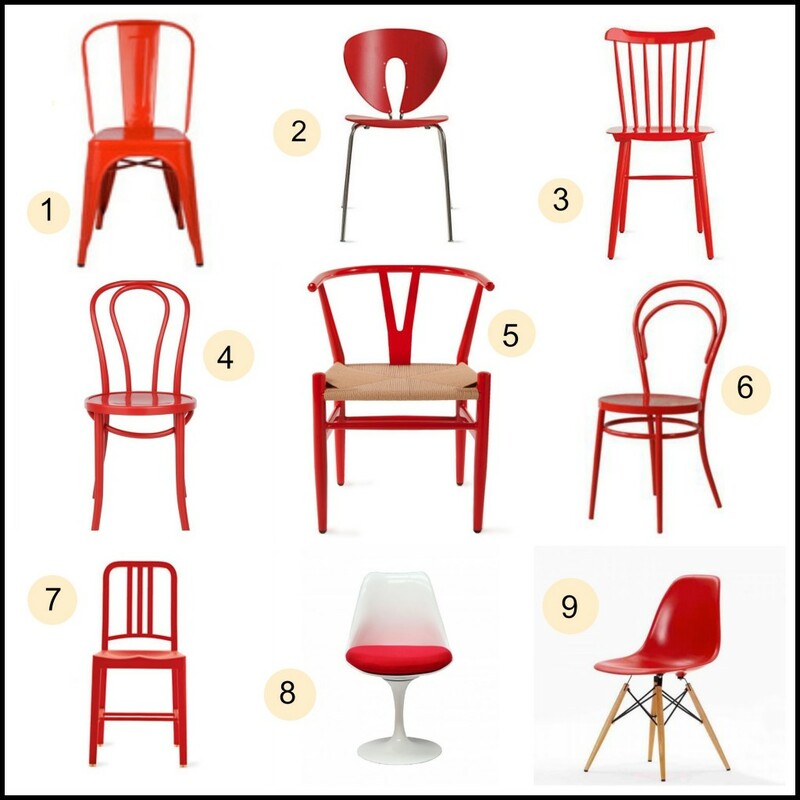 Love #5, although the Eames chairs are beautiful in red and the plastic is so easy to clean! LOVE LOVE LOVE chair number two! LOVE the tulip chair #8 – and they are on overstock for CHEAP! Originally went for 7 until I saw the dining room in which they will be used and immediately changed my choice to 3…yes, 3 it is! #1, Tolix all the way! #3 is the winner for me! I love 5….but 3 may be a little more classic. The Vienna (#4) is my pick! Wow, lots of votes for #3, which is also my vote! #7! The lights look great with your red chairs. I like 7, but 5 looks super comfortable. #5 is gorgeous, but it’s hard to tell how much space it will take up around a round table. I also love #9. I think either would work fabulously. No. 5 looks the most comfortable, and I personally like the most the design of 8 (it is just like a glass filled with red wine! ), but I guess any of the remaining will fit your dinning room better – 2 or 9 are more fancy, if you want to add some more flavor to the room. The idea I think might be also that each of you select his/her favorite one or second favorite if the same repeats and you buy four different chairs. Everyone will have his/her chair then. When I was a child (had two brothers) we always struggle who sits where and it is so nice to have your own, somehow marked place. I love Eames chairs, personally. Plus they’re comfortable! Also like #2. I vote #9 as I tried one just like it today and it was very comfortable. Also love the wishbone one but I think its arms may get in the way of smaller diners. 4…or 5, b/c it looks a little more comfortable. Unless 5 is too big for the table. Good luck deciding! #7. I have been lusting after the Navy chairs forever. Classic, comfortable, durable. I like #1 and #5!! They look both comfy and sturdy. Some of the other styles look not super comfy to learn back into – you’d have to sit up super straight! 5 looks the most comfortable. Let’s go with that. Several are great, but WITH YOUR TABLE, I would prefer #2. Definitely number 9, the Eames Molded Chair. Love those!! I’m gonna go with 7, they seem to be at the right point between modern and classic. Definitely #7. Not too modern, good shape and looks comfortable and long lasting. I say change it up and go with #3! 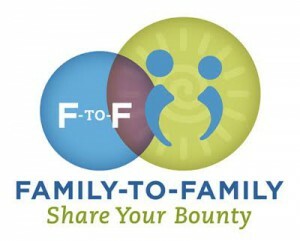 I like the idea of a different one for each family member. If I was gonna go all out, I’d find four tag sale wooden chairs, spend one weekend day sanding, and one weekend day spray painting fire-engine red with Rustoleum enamel paint! #8 and #9 are both gorgeous but the tulip chairs tend to be heavy and hard to move and the molded is uncomfortable to lean forward in. I love the wishbone chair for looks but the little knobbies where the front legs attach hurt like a mutha if you sit down wrong so my vote would be #7 for practicality. #4, although in real life I would sit and squirm in each one before choosing! #3 seems perfect for that room, but I love #5 also. Some others are interesting, but I would not want to cozy up to a bowl of that amazing ragu in mid Feb on any metal chair! # 4 ! Reminds me of eating pizza bagels at my Aunt Marilyns. #8 is kind of cool , reminds me of the Dating Game but not a fan of cushions + kids. There’s nothing like a bunch of colored bentwoods (I have a hunch No. 4 is slightly more comfortable than No. 6) but I don’t think you could go wrong with No. 3! I’m voting for #7 because it feels left out. Really, they are all lovely and will serve you well! Will you share where we can find these lovely options when the contest ends? so many good options! i like 3, 4, 5 and 6, though i think i’d choose #4 in your room. the red is so fun! I vote for number 5. with number 3 as a second choice. I vote #3 or #5 – both look comfortable, modern, and homey. #3 – classic, elegant, RED!! I have a soft spot for #9! #3. It’s even called Salt. Seems like a must-have to me. Number 5 has the perfect balance of modern and comfy traditional! my vote’s for number 5, the wishbone. so cute! My favorites: 3, 4, 1 – in that order. Oooo! I love number 7. but thinking number 5 would keep you closer to the vibe you have going on right now. Change is good, right?! so 7 for sure! I only want to sit in #5! I love #5 but they might drive you nuts if you can’t just wipe them down . So then I’d go for #2! #9 is probably the most comfortable for little bottoms and bigger butts. Probably not metal or those with flat, small seats like 3, 4 and 6. They tend to hurt after a while. 5, although stylish and looks comfortable is pretty impractical with the rush seat, as is 8 (looks like fabric). Good luck! #5! classic but still clean looking. Now I want new dining room chairs! I would chose 7 based on comfort and the red color goes all the way down the leg. I like some of these but the legs are not red so they wouldn’t look as good in your space. Hope this helps. I love 5 and 7, but I think the metal on the navy chair would be cold…. So i’d choose 7.
salt (no. 3) for sure! comfy, versatile and really adorable. 9, but I love all of them! Hi, do you know who produced those red chairs you *used to have?